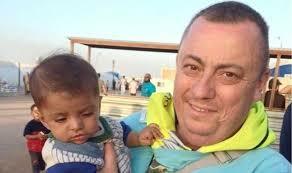 Alan Henning, a British man who volunteered for an aid-convoy to Syria, has been beheaded by the Islamic State. Henning is the fourth western hostage to be beheaded by the group, following the filmed beheadings of US journalists James Foley and Steven Sotloff, and Scottish aid worker David Haines. At the conclusion of the Henning video, a masked militant states, “Obama, you have started your aerial bombardment of Sham, which keeps on striking our people, so it is only right that we continue to strike the neck of your people.” The next planned beheading is then revealed, Peter Edward Kassig, captured in October 2013. 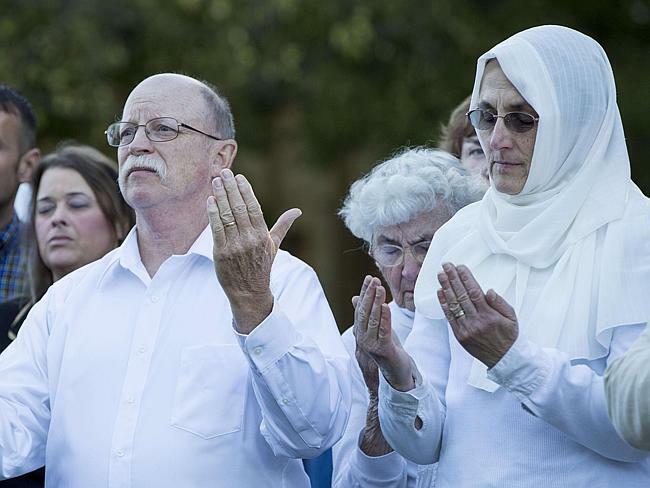 “We ask everyone around the world to pray for the Henning family [the family of the 4th victim], for our son [Peter Kassig], and for the release of all innocent people being held hostage in the Middle East and around the globe,” the Kassig family said. The statement referred to him by the name of Abdul-Rahman Kassig, saying he had converted to Islam in captivity. My heart goes out to the parents of Peter Kassig. In news reports today the two of them are seen visiting a mosque for prayers. The mother is wearing the traditional Muslim head covering as she pleads with ISIS to release her son. Kassig was non-Muslim when he was captured. Having now converted to Islam why is he not afforded “a place safe for him” as provided by Qur’an 9:6? Fight those of the People of the Book who do not [truly] believe in God and the Last Day, who do not forbid what God and His Messenger have forbidden, who do not obey the rule of justices, until they pay the tax and agree to submit. Haleem translation. When you meet the disbelievers in battle, strike them in the neck, and once they are defeated, bind any captives firmly —later you can release them by grace or by ransom —until the toils of war have ended. I am not surprised that the pleas for mercy of a mother and father are unheard. But does not the Qur’an bespeak of “mercy of Allah”? Is it possible that Islam is not the religion of peace it is made out to be? When the “Dhu al-Faqar “or “Cleaver of Vertebrae” of the Islamic State falls upon the neck of another, will the world wake up to the reality of Islam? Please correct your article and use Alan Henning’s name. His name is not Alex and it appears insensitive to write an article and speak about someone who is deceased and constantly get his name wrong. I’m surprised that it hasn’t been pointed out to you yet, or that you haven’t fixed it. But please, out of respect for the family, please fix it immediately. Thanks.